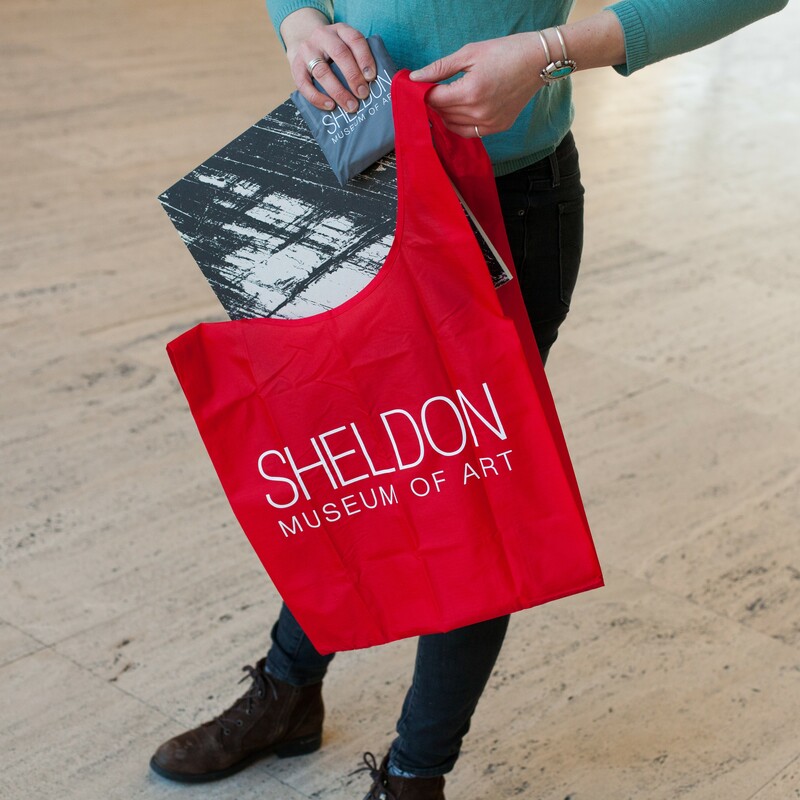 Sheldon Museum of Art nylon bag in red or grey, with pouch. This nylon bag holds 50lbs of goods. Don't forget to take it to the farmers market or grocery store with you!